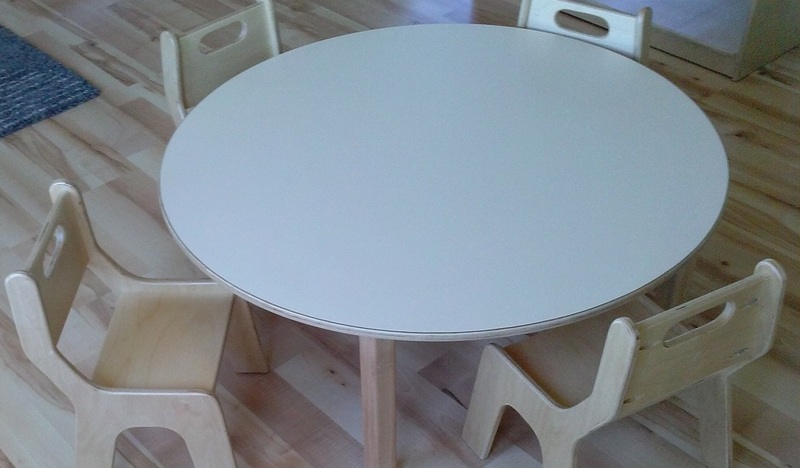 If you are looking for quality wooden Montessori Furniture and/or Consulting in starting or expanding a Montessori School, we are here to offer you the most complete assistance in the industry. It is time to order those expansion classrooms for next year! Check out our discounts and classroom packages ... Why is our furniture the BEST? 1. Handmade in the USA! 4. The lowest prices in the industry! 5. Offers Free consulting to our customers! 6. We offer custom sizes! 1. Montessori Consulting-We can assist you with a complete turn-key project to start or expand a new classroom or school.This service is Free if you are purchasing our furniture. 2. The highest quality Montessori Furniture purchasing-We are happy to assist you in your furniture needs including classroom placements. We are excited about our new classroom sale packages for Infants, Toddlers, Primary, Lower Elementary and Upper Elementary classes. 3. Designing-We can assist with best design of building and interior plans, if you need to build or remodel. 4. Programming-We can assist with program curriculum design to assure quality and certified Montessori staff. The teacher education is critical to a quality program. 5. Supplying-We can assist you with all Furniture/learning materials to supply your program and assure a beautiful and cost effective environment. In addition to our own Montessori furniture factory we have an association with a leading material company to offer best prices and highest quality in materials. Montessori Woods is a well established USA Montessori Consulting and high quality Montessori Furniture company, offering Montessori specialty furnishings that are considered to be the most beautiful and affordable in the marketplace. We offer custom hand made solid wood Montessori baltic birch furniture that includes shelves, tables, chairs and specialty furniture to meet any Montessori classroom need. We offer consulting on what you need and how it will be used in the classroom. Sizes,styles and natural quality are very important in a real Montessori classroom. We can show you how to accomplish this on a limited budget. If you have always dreamed of owning your own Montessori school or are opening a new private or public Montessori school, give us a call. Now is the time to act. If you have a building or need to build, we can help you start or expand a Montessori school or childcare. Perhaps you need to begin with a design to construct a new school. We can help with your new design. Call us at:770-985-0771 for our individualized help. We are experienced Montessori school owners, teacher trainers and furniture builders with over 25 years of experience in this industry. We are eager to help you in your new business! It is time to order your new back to school furniture. A Montessori consultant is helpful to anyone starting a Montessori school. When you design Infant Montessori Environments, you need the right Infant materials. Montessori Woods can assist you with plans for a perfect Toddler Montessori Environment. The Primary Montessori classroom environment is critical to the success of your new school. Furnishings and materials for a Montessori Lower Elementary Classroom are critical to the success. Help for starting or purchasing for Montessori Upper Elementary and public schools is our specialty. Montessori Woods offers highest quality Montessori Furniture at affordable prices. Montessori Woods offers the most extensive list of Montessori Specialty Furniture. Montessori Geography furniture is essential in a Montessori classroom. If you are interested in opening a Montessori Daycare, we can serve as your consultant in every area. The shipping and handling at Montessori Woods is much less. This information from Montessori Woods tells you about us. Looking for Montessori consulting help or Montessori furniture? If you are Ordering Montessori Furniture we have provided an Order Form for your convenience. The Montessori Handwashing table is the April special. Order one for each class.